Support Wii u, PC USB, Nintendo Switch and Mac OS with the GC controller or wireless gc controller. Just Switch the button "Wii u/PC" located on the side. 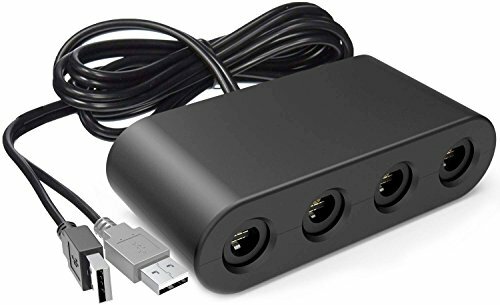 The GameCube Controller Adapter allows you to connect up to four GameCube controllers. No lag to play,Is your best choice for super smash bros. If you want to play on Switch,Please update your system beyond to 4.0. The most important Nintendo announces super smash bros would land Switch. Buy with confidence!We would provide you one perfect item or make a full refund for you.If you have any concerns, with this item, Welcome to contact us. If you have any questions about this product by Cloudream, contact us by completing and submitting the form below. If you are looking for a specif part number, please include it with your message.